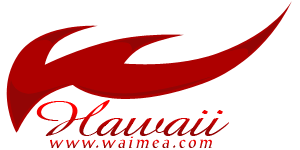 Come and Sample Hawaiian Cuisine! If you want to fully experience the best things that Hawaii has to offer, you really have to sample the diverse and tasty Hawaiian recipes. Like everything else in Hawaii, its cuisine is also characterized by diversity. And this diversity is what gives Hawaiian cuisine its unique quality and flavors. Hawaiian cuisine, just like some aspects of Hawaiian tradition and culture, is a hodgepodge of European, Chinese, Korean, Japanese, and Polynesian influences. There are actually a wide array of Hawaiian dishes. From the traditional to the contemporary dishes, Hawaiian cuisine mirrors the state's one-of-a-kind cultural mix. Abundant in crops and other edible plants, it is not that surprising that Hawaii boasts of delicious local dishes, and that the food served on the tables of the early settlers in Hawaii were mainly fruits and root crops. Poi, a staple in Hawaiian food table, is actually made from taro. Aside from taro, sweet potatoes and yams are also part of the local people's diet. In the late 19th century, American settlers established pineapple and sugar cane plantations in. And as the pineapple and sugar cane industries expanded, immigrant workers from various places around the world such as Portugal, Philippines, China, Japan, and Korea arrived in Hawaii, rendering their indelible influences on the various aspects of the Hawaiian culture. This includes different cooking styles and food preparation techniques. Pork dishes and the use of tomatoes and chili peppers when preparing meals are the influence of the Portuguese who came to the islands. Filipinos also set foot on Hawaiian soil, bringing with them broiled dishes, beans, adobo dishes, and peas. Chinese immigrants introduced dishes such as dim sum and sweet and sour dishes. The Chinese also introduced stir frying to the locals. The Hawaiians' love for sashimi, noodle soups, and shrimp tempura began when the Japanese came and introduced their trademark dishes. The Koreans, on the other hand, introduced to the locals various dishes such as kimchi, marinated meats, dishes with sweet-garlic sauce, and mixed rice with seasoned vegetables, also known as bibimbab. The first fine dining restaurants established in Hawaii catered mostly to wealthy clients. These restaurants served dishes similar to those served in the restaurants in Europe. Among the dishes in the menu of these restaurants are mullet, chicken with tomatoes, cabinet pudding, and spring lamb. In August 1991, a dozen chefs in Hawaii met and organized a movement to create a cuisine that would characterize the uniqueness of Hawaii, which marked the birth of the Hawaii Regional Cuisine. Instead of relying on ingredients produced outside Hawaii, the 12 chefs' goal was to create dishes using locally grown ingredients. Out of this came the uniquely Hawaiian dishes such as Waimanalo salad greens, Puna goat cheese, and Kahuku prawns. According to these chefs, their purpose is to create a cuisine that would enable the people who come to this place to have a true taste of Hawaii. The Hawaiian Regional Cuisine is actually the blending of the cuisine from various cultures while using ingredients found in the native land of Hawaii. You will never truly experience the goodness of a place unless you sample its local cuisine. Among the popular Hawaiian dishes you have to sample is the Kalua pig. This is prepared by wrapping a pig in banana leaves and then steaming it inside a ground broiler, or imu. The traditional Kalua pig is seasoned with salt. This local Hawaiian dish is best known for its rich smoky flavor. Another known Hawaiian dish is the haupia. This is a gelatin-like desert, which is made using thickened coconut milk. Another one of the most widely known Hawaiian dishes and oldest recipes is a seafood dish prepared with a mixture of coconut milk and taro leaves called luau, the basis of the well-known Hawaiian feast with the same name. While in Hawaii, you must take time to sample the lomi salmon. This is made by mixing tomatoes, peppers, and onions with salted salmon. Meanwhile, tuna is also an integral part of Hawaiian cuisine. The popular varieties are the ahi or the yellow fin tuna, the tombo or the albacore tuna, and the aku or the skipjack tuna. There is also what they call the poke, which is usually served as an appetizer in Hawaiian cuisine. Poke is a fish salad, which literally means "section" or "to slice or cut" in Hawaiian. This dish exhibits the heavy influence of Japanese cuisine. Another Japanese-inspired cuisine is the Spam musubi, which is a variant of a Japanese rice ball with spam wrapped in seaweed. Feast your taste buds on sumptous dishes prepared by top chefs in Wailea and sip some of the best wines in the world at the Taste of Wailea, an event that happens during the Maui Film Festival. Want to taste some of Hawaii's best dishes coming from over 25 dining establishments that are known for their signature recipes? Then this event is definitely worth participating in. Bring along lots of friends as you and your buddies will surely enjoy the festival's wine tasting sessions. The Kapalua Food and Wine Festival is a very famous celebration in Maui. Over the years, this four-day long event has been known to feature several top chefs. Aside from wine tasting sessions and seminars, this event also highlights cooking demonstrations. If you can't get enough of traditional Hawaiian cuisine, then you should not miss a luau. This is celebrated in all the islands of Hawaii. During a luau, Hawaii's traditional dishes such as poi, Kalua pig, coconut, and seafood dishes are served. The luau tradition started with King Kamameha II during the 1800s. This event was held as a symbol that certain religious taboos previously practiced have ended. Today, Hawaiians are still celebrating luaus. Actually, this festivity is the highlight of many important Hawaiian events including weddings, birthdays, and graduations. Since then, the term has become synonymous with "party" even in other countries. There are a good number of restaurants in Hawaii where you can sample excellent dishes. Among the good restaurants are those owned by chef Sam Choy, a Hawaiian of Chinese descent. Sam Choy is famous for being one of the 12 chefs who established the Hawaii Regional Cuisine movement. Among Choy's signature dishes are fried tofu and tomato poke, stone crab claws, and the pake paella. Considered as one of the three kings of Hawaii Regional Cuisine, Alan Wong is one of the top chefs in Hawaii. His namesake restaurant, Alan Wong's Restaurant in Honolulu, is also among the top restaurants in the state. Dishes such as seafood paella, ginger-crusted onaga, kalua pig, and tomato soup and sandwich are just some of the restaurant's most well-known dishes. The Diamond Head Grill at the Honolulu Hotel also offers quality Hawaiian dishes. If you want to taste treats that are a mixture of Polynesian, Asian, European, and American cooking techiques, drop by the Diamond Head Grill. For other food choices, La Mer is also one of the best known restaurants in the state. Because of its signature dishes, it is recognized as one of the top dining establishments tourists should visit. This upscale restaurant is internationally acclaimed with a menu that features Neo-classic French cuisine. Another good thing about this restaurant is its majestic oceanfront views. If you can't get enough of seafood dishes, you can go to Tropica. This is located at the Westin Maui Resort and Spa. Here, fresh island fish dishes are among the many culinary specialties. Hawaii is a tropical paradise that offers diverse experiences even in dining. This is why when you take your vacation in any of its islands, you should taste the best dishes the island has become famous for. In this way, you can really have a true taste of Hawaii.